The Playground is located in the south side of the second grotto on Grotto Mountain. Park at the Rat’s Nest Cave parking 5km south of Canmore’s Elk Run Boulevard on Hwy 1A (51°3’8.55″N 115°15’22.46″W, UTM 11U 0622217mE 5657095mN). This parking lot serves numerous backcountry activities including The Playground (drytooling), Alcatraz (drytooling), Eldorado (drytooling), Rat’s Nest Cave (caving), and the south summit of Grotto Mountain (scrambling). Several trails leave the parking lot. It is important to find the right one. The main trail heads through the bush to the drainage immediately north. It crosses the drainage and heads uphill through the woods. There is a cairned shortcut (51° 3’16.31″N, 115°15’30.28″W) that heads left before the Rat’s Nest Cave trail reaches the power line. 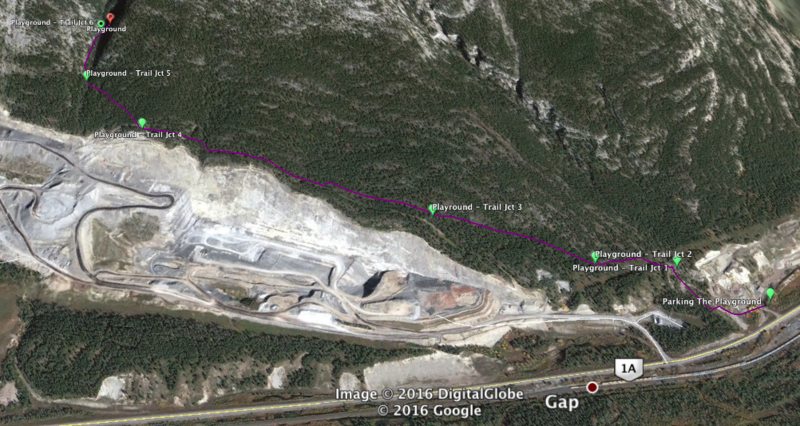 Follow the power line downhill to the flats (51° 3’20.88″N, 115°15’41.18″W) and follow a trail to the right up through the woods to gain the access road above the quarry. Hike north along the road. There is another shortcut at the switchback in the road (cairned). Beyond the switchback, take the trail into the woods (51°4’1.67″N, 115°16’26.40″W). Cross the drainage and follow a trail up towards the second grotto. When below The Playground (51°4’15.11″N, 115°16’21.38″W, UTM 11U 621022mE 5659124mN), head back south across the drainage and up to the crag. 2.75km 350m elevation gain. 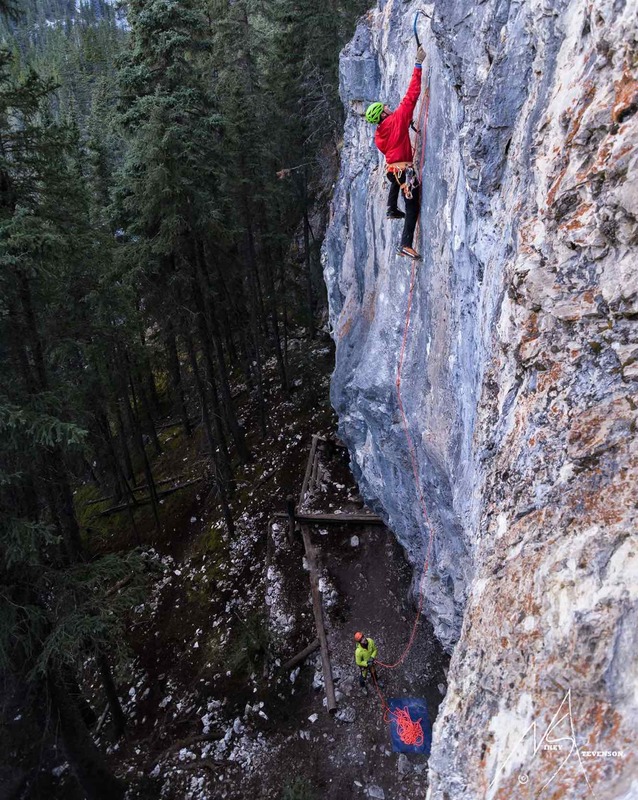 The Playground was original discovered by Canmore alpine guide Patrick Delaney. He was looking for a crag that he could develop into a training crag for mixed climbing. It was important that the crag NOT have decent rock for rock climbing so as not to create a debate with the rock climbers. Pat envisioned a Canadian equivalent to some of the Euro grid bolted dry tooling areas. He partnered with Eric Dumerac to finish the routes. Eric was very excited about The Playground’s potential and publicized the venue. The Playground was initially quite contentious as the routes were fabricated specifically for training. As World Cup style drytooling has become more popular, The Playground has found its place in the community. It is not uncommon for there to be 20-30 climbers here on a weekend in the fall and for climbers to come here to train year round. 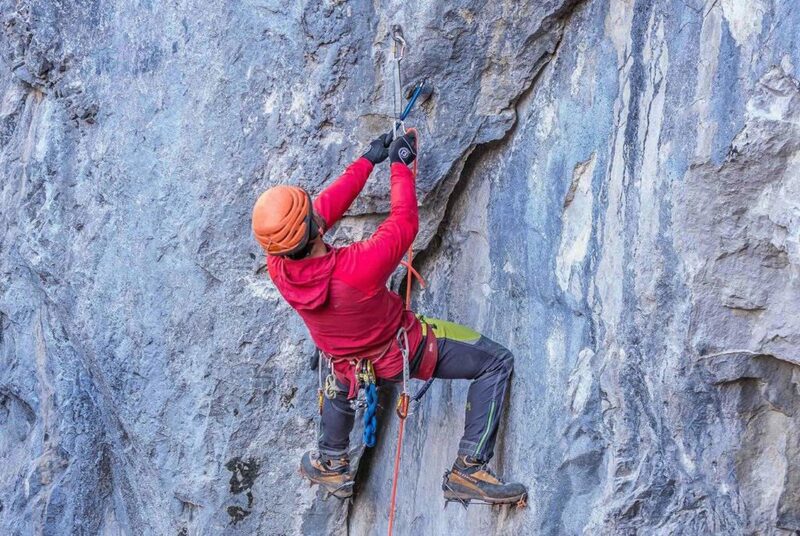 New drytooling routes ranging from D4-D9 have been built during the past 5 years to accommodate all levels of drytooling. The drytooling routes at The Playground are described from left to right. It can be divided into 5 areas: Upper Cave, Playground Left, Swiss Cheese Cave, Rat’s Nest Wall, Mutt Wall, and Recess Wall. Upper Cave – This cave is located left and above The Playground proper. There is only one route here at this time. Playground Left – The wall left of the Swiss Cheese cave has 3 longer vertical routes. Mountaineers Route D5 This is the furthest left route at The Playground. Climb broken terrain to gain a right facing corner up to an anchor. FA: Patrick Delaney. U Crazy Roundeye! D7- Climb slabs right of Mountaineers Route. Long reaches, mantels and slabby climbing lead to the anchor. FA: Patrick Delaney. Swiss Cheese Cave – This large cave is the home to the steepest climbing at The Playground. Single Malt D8- Steep blocky climbing leads to the arching crack. Step left and continue up to the anchor. FA: Eric Dumerac. Rat’s Nest Wall – The lower angled wall below Swiss Cheese is home to the original crag warm-ups. 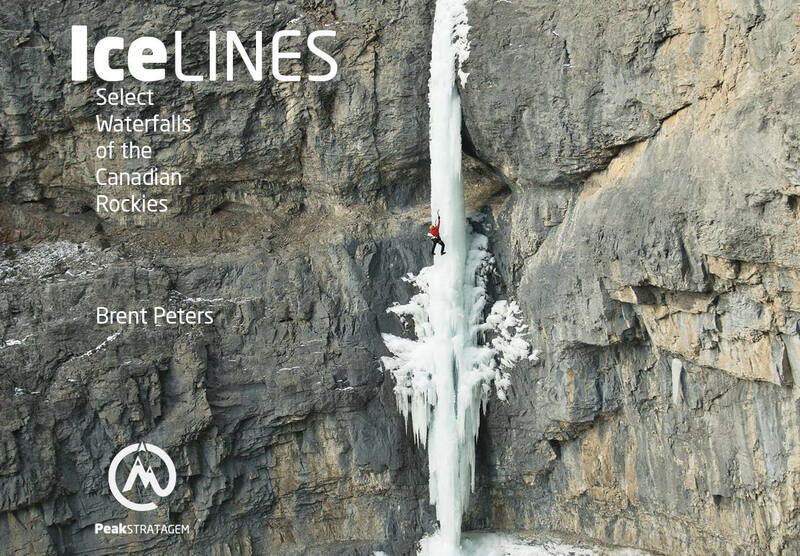 Mutt Wall – From the Prowler arête to the Pride cave, the routes are short but steep, or finish with vertical slabs. Recess Wall – To the right of the Pride cave is a slabby wall that descends to the approach trail. There are a couple of short challenging overhangs along it. What is Drytooling and Mixed Climbing? Drytooling is climbing rock with ice tools and crampons. It is a growing sport, supported by both the UIAA World Cup Ice Climbing Competition circuit and mixed climbing. Mixed climbing involves climbing rock to gain waterfall ice. Get new product updates and backcountry cooking tips by joining the PeakEats email list. Backcountry Food – Fresh, Dehydrated or Freeze Dried? Don’t see a course that you want? We can help you reach your outdoor goals with private or group courses. Have your backcountry food for your trip? Join one or both email lists to stay up-to-date on all things backcountry: exploring, learning, and gourmet food preparation. You were so relaxed and patient on my first day of ice climbing. Thanks Brent.